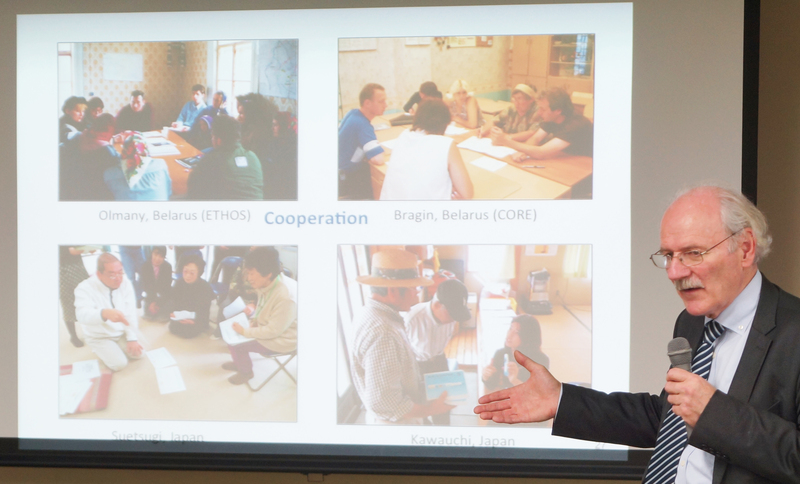 The 18th Phoenix Leader Education Program (PLEP) Seminar titled “Lessons Learned in Communication from Chernobyl and Fukushima” was held on December 12, 2018, and Dr. Jacques Lochard, Professor at Nagasaki University, Vice-Chair of the International Commission on Radiological Protection (ICRP), and Visiting Professor of Hiroshima University, was invited as a lecturer. 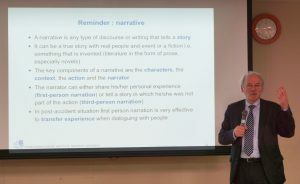 The seminar began with greetings of Dr. Nobuyuki Hirohashi, Chair of Education Committee of the PLEP, and then, Dr. Jacques Lochard gave lectures on his experiences in terms of risk communication after the nuclear disasters in Chernobyl and Fukushima, and “Dialog” which is communication through dialog with affected people. 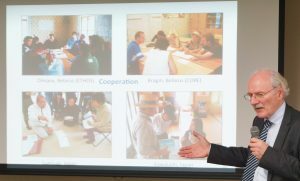 Following the seminar, there was active discussion including the PLEP students, HU researchers and other attendees. It was great opportunity for all participants to learn the ethics in radiological protection. 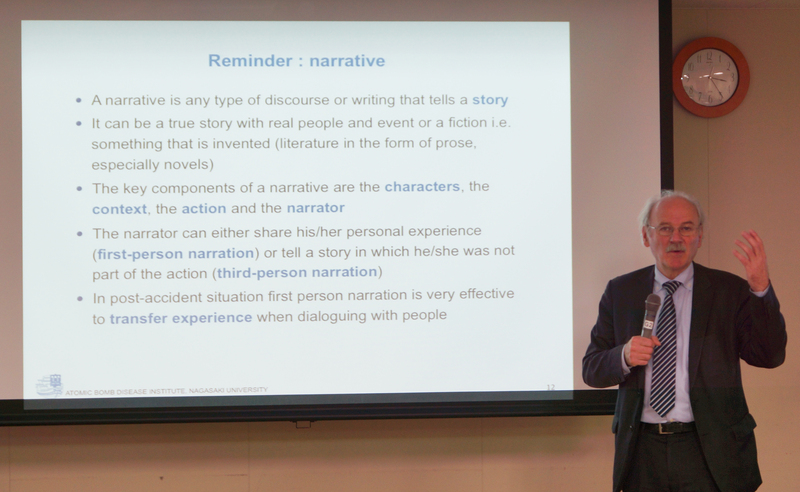 The seminar was held in Kasumi Campus, and that was telecasted in Higashi Hiroshima Campus. ← Chryzel received Gold Award!